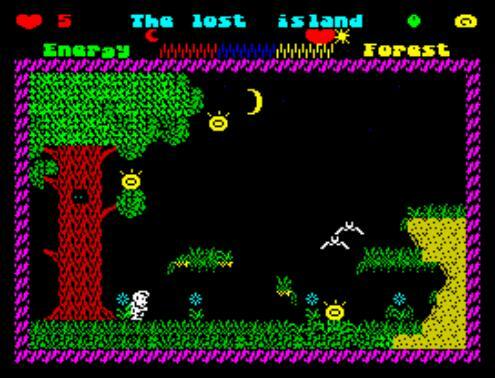 The demo for ZX Spectrum 128K released on Revision 2013. FUNKY FUNGUS is a jump-and-shoot single-screen platform game by Alessandro Grussu for all 128 KB RAM Spectrums, where you, as the eponymous character, must face an army of bizarre creatures led by Seto Taisho, a strange being entirely made of discarded tableware. Big cudos to the Spectrum scene! Let me inform you on Arok Party 2013, which is going to gather the 8bit enthusiasts for the weekend of 5-th July. All Speccy-maniacs are welcome to the event where you get your one and only love Demoscene and gaming compos, 8bit cover bands live and open-air, seminars, boozing tent... all you need to see the world in 8bits! Meet you at Ajka/Hungary! Have a sneak peek into the mood! ...and watch the C64 invitation dentro on youtube or on a real machine. [released at Forever 2013]. Dr Beep released another great game. Download 1K ZX81 hires version of HUNT THE WUMPUS from the Texas Instruments. Move through the maze. When you think you know where the Wumpus hides (indicated <=2 caves from the Wumpus by the edges) you press fire and then move to the Wumpus. When correct you will win otherwise you lose. You also lose when you enter the cave of the Wumpus without firing. Gem Chaser - a frantic 70 level arcade/platform/puzzle game by Bob Smith and Andrew Owen. Collect the gems which are the same colour as you, then change colour to collect more - all to be completed within a set time limit. Warning - this is not an easy game! The demo by Gemba Boys finally available in native Speccy formats: TAP and TRD. Enjoy. 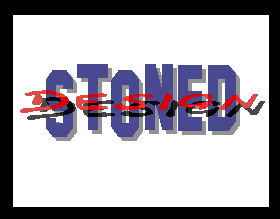 The game has been created by Paul Jenkinson with AGD (Arcade Games Designer). Toofy needs to collect enough nuts to make it through but the nasty squirrels have raided his store and stolen them. Guide Toofy as he tries to reclaim his nuts and survive the winter. 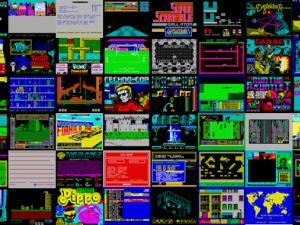 Spiffy is 48k Spectrum emulator, for Linux. - Significantly improves audio handling - hopefully no more skipping and glitching. - Also, the drainpipe-O-matic audio is less filtered now. - A graphics glitch on 64-bit machines was fixed. Since GitHub have stopped allowing binary package uploads, the prebuilt binaries are now hosted on the Spiffy page. Official WOS thread is here. Saboteur 3 page has been updated with an archive of graphics salvaged from Mike Richardson's microdrive cartridges. For anyone who's interested, here is a quick Q&A with Mike about the game (some of this appeared in an unreleased Spectrum games feature which appeared in Retro Gamer magazine a year or two back). MetroSpec V1.3 was actually launched in September 2012, and most recently in the last couple of days the V1.5 update has been released. There are two versions of MetroSpec. The free version has ads, a max of two pinned tiles, an import limit, and 1 minute audio limit per game session. The paid for version costs 79p, and removes all of these limitations. 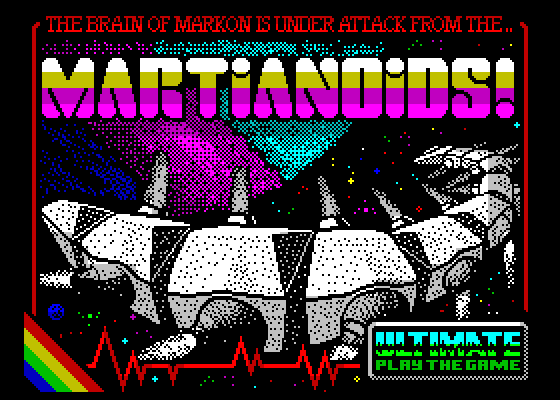 Remake of the original loading screen of Martianoids. Source files available in the thread at the WOS.